Gold's Gym of Manassas VA released a new video describing its business and best industry practices on fitness and health recently. At Gold's Gym, there is something for everyone. You'll find an energetic, supportive environment full of all kinds of people who are committed to achieving their goals alongside you. Gold's Gym of Manassas VA released a new video describing its business and best industry practices on health and fitness recently. The video is meant to describe the business and industry best practices for Gyms in Manassas VA and Gym Manassas VA.
Today, Gold’s Gym is the most recognized name in fitness serving more than 3 million members in 38 states and 28 countries around the world. Always at the forefront of the fitness revolution, Gold’s Gym has continually evolved its profile by equipping gyms with the best amenities and the latest in cardio and strength training equipment as well as the most dynamic group exercise programs including Zumba, yoga, group cycling, mixed martial arts, muscle endurance training, and Pilates. At Gold’s Gym, you’ll find an energetic, supportive environment full of all kinds of people who are committed to achieving their goals. Strength comes in many forms, and for over 20 years, Gold's Gym of Manassas continues to help people find theirs. 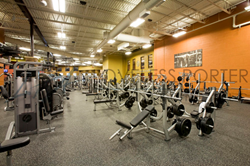 Gold's Gym of Manassas VA has a 24 hour facility and is home to an indoor track, a cardio cinema, and equipment fitted with individual televisions. Their industry leading offers even include Fitness on Demand that allows clients to take an exercise class any time of the day or night. Achieve goals by joining one of the dynamic group exercise programs they offer, including: Zumba, yoga, group cycling, mixed martial arts, muscle endurance training, and Pilates. Give them a call at (703) 369-4950 and get started today. Check out also their website at http://www.goldsgym.com/manassasva to see even more amenities designed to help you know their strength.